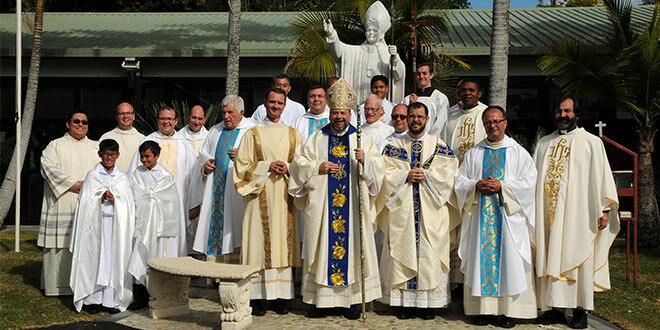 PAULINE Fathers from around the world have welcomed the first Queensland-born priest into the monastic order. 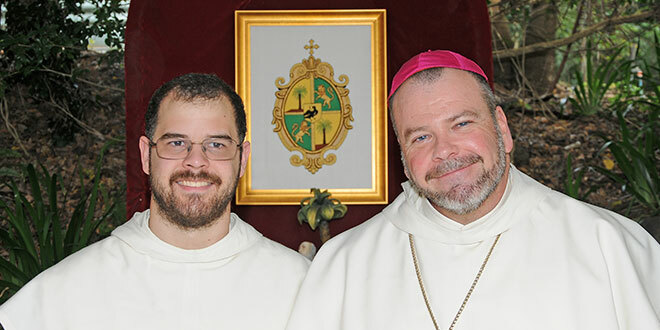 Fr Joseph Maria Buckley, originally from Brisbane, was ordained a priest of the Order of St Paul the First Hermit, better known as the Pauline Fathers, on June 9. He is the first Queenslander to be ordained for the order, which was founded in the 13th century in Hungary. He is also the first priest to be ordained by former Pauline Father, Bishop Columba Macbeth-Green, who travelled from his home in Wilcannia-Forbes diocese in western NSW for the ordination. Fr Buckley said after his ordination Mass he was “truly blown away” by the support and prayers of the Pauline Fathers and wider Catholic community. “And I will always remember you in my prayers,” he said. First blessing: Newly ordained Pauline Father Joseph Maria Buckley gives his first blessing to the one who ordained him, Bishop Columba Macbeth-Green, himself a Pauline Father. Photo: Robin Williams. Queensland’s first monk for the Pauline Fathers seemed “as cool as a cucumber” to his brother priest Wilcannia-Forbes Bishop Columba Macbeth-Green, who was the exact opposite at his ordination 20 years ago. In his homily for Fr Joseph Maria Buckley’s ordination on June 9, Bishop Macbeth-Green recalled his own emotions during his priestly ordination in 1997. “Before and in the middle of the ceremony, I was a mess, I was that nervous,” he said. “I was also sick in the stomach. “And here’s Br Joseph, as cool as a cucumber. “I said, ‘What a solid man this is’… but who knows what is going on inside there. 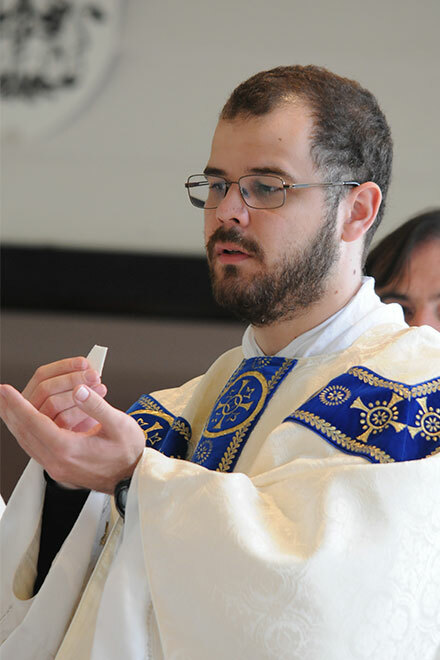 “I don’t think a young man, a deacon, preparing for ordination as a priest, should not have those knots in his stomach … because it’s such an awesome thing. Sacred moment: Pauline Father Joseph Maria Buckley during the Eucharistic Prayer at his ordination last weekend. Photo: Robin Williams. Fr Buckley’s journey to be Christ in the world through the priesthood started 20 years ago, when he was eight years old. “But that was only like part of the message at that time,” Fr Buckley said. The answer was at Marian Valley, a shrine dedicated to Our Lady Help of Christians cared for by the Pauline Fathers, including Bishop Macbeth-Green, who was just a priest at the time. “At the end of my school years, when I was about seventeen, soon to turn eighteen, I went to Fr Columba and went for an interview about joining the order,” Fr Buckley said. “He thought at seventeen turning eighteen I was a bit young, and suggested I go away and do something. “I studied for a bit, then joined at twenty-one. During Fr Buckley’s ordination, which was held at Marian Valley, Bishop Macbeth-Green offered more sage advice, this time on what it took to be a good priest. 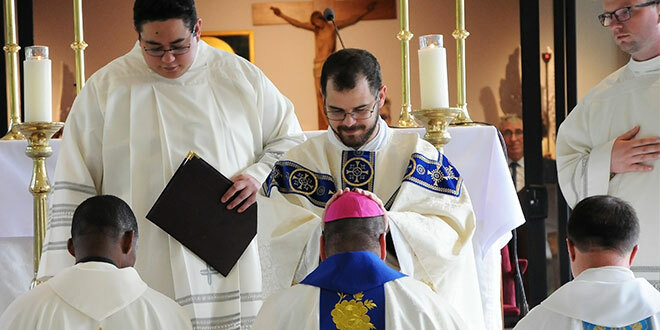 The Bishop warned the new priest against two old heresies mentioned in Pope Francis’ apostolic exhortation Gaudete et Exultate – gnosticism and pelagianism – because they were boundaries to holiness and particularly troublesome for priests. “They inhibit holiness and both of them are things that a priest must be very careful of,” Bishop Macbeth-Green said. Day of celebration: Father Joseph Maria Buckley and Bishop Columba Macbeth-Green with concelebrants and servers at Fr Buckley’s ordination as a Pauline Father. Photo: Robin Williams. Read the full story and see more photos of Fr Joseph Maria Buckley’s ordination by purchasing a copy of the June 17 edition of The Catholic Leader. Can’t find The Catholic Leader in your parish? 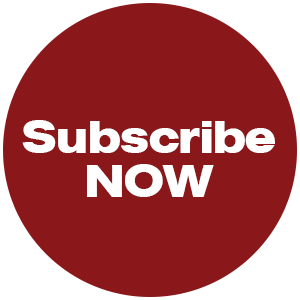 Why not subscribe to receive The Catholic Leader at your door or inbox every week. Subscriptions start at $50 for an entire year.